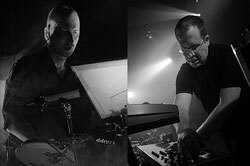 WINTERKÄLTE have been recognized as one of the defining post industrial acts for over 25 years now: Their early releases, especially the albums "Structures of Destruction" and "Drum'n'Noise" laid the foundations for the Rhyhtm'n'Noise scene and still influence its sound. The recurring theme of their work is the destruction of natural resources, their sound is a trademark brew of merciless hardness and intelligent dance rhythms. Be prepared to survive this brute force industrial concert on the dance floor!